What’s the Best Way To Do Chalk Paint Kitchen Cabinets? Want to completely transform the look of your kitchen? Chalk paint your kitchen cabinets and give them the smooth or distressed look you're going for. 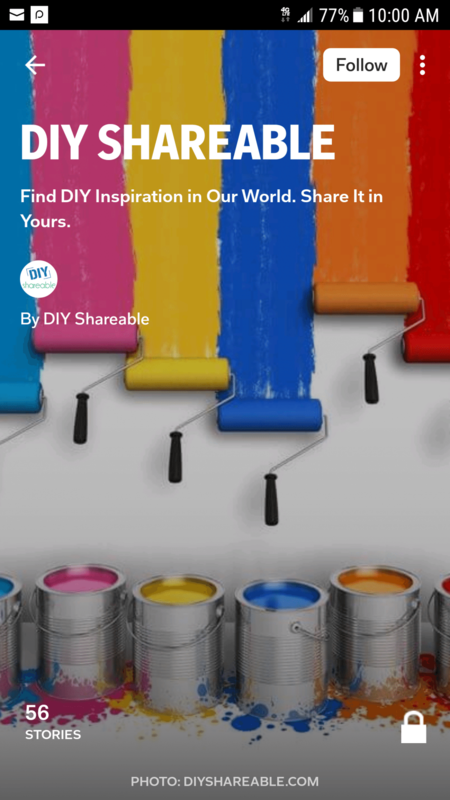 Chalk paint….it’s like no other paint you’ve ever used. Technically, it is a trademarked brand created in 1990 by Annie Sloan but other companies have since debuted the means to achieve very similar effects through additives to traditional latex paint. 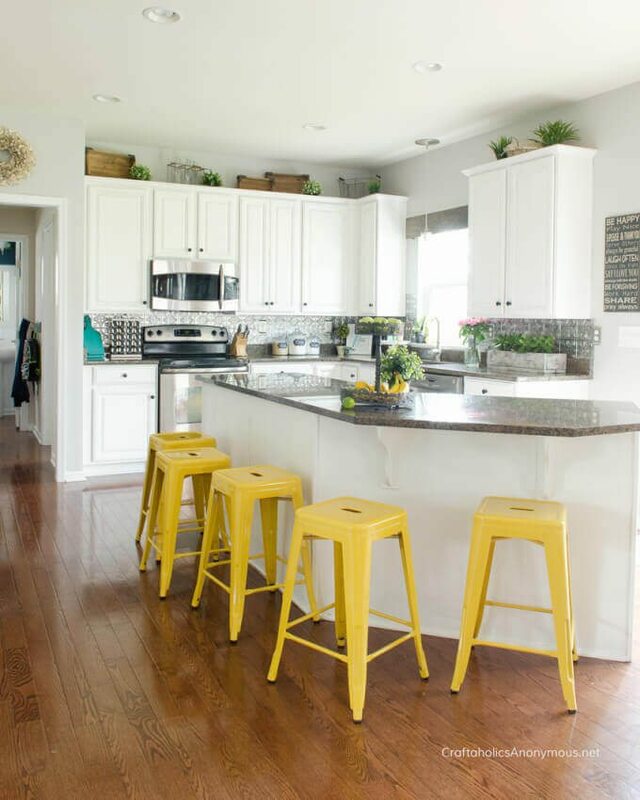 It is not uncommon to see chalk paint kitchen cabinets, but it can be used on practically any type of surface – wood, metal, plastic, brick, concrete and more. It is excellent for creating a shabby chic, aged, and distressed appearance. Annie Sloan’s inspiration to create chalk paint came from having three young boys under the age of 7 and yearning for a paint that let her enjoy the fun part of interior décor with minimal hassle. She wanted a paint that allowed for a fast turn around from inspiration to execution with minimal preparation and maximum ease. As a result, chalk paint requires very little in the way of sanding, priming, or other prep work, and has a fast drying time and brilliant mixable colors. It also has a lovely matte finish, and can be easily adjusted by adding water to make it a wash or leaving the lid off to thicken the texture. The Annie Sloan chalk paint brand can be pricey, running about $40 a quart. Fortunately, there are other brands now that are cheaper and come in various colors, like this Renaissance Chalk Finish Paint on Amazon. NOTE: Chalk paint can be easily damaged. It’s so soft that a simple brush of a hand can scratch it unless it’s sealed. Chalk paint absolutely requires sealant, polyurethane or wax to be functional. With Dover’s Mix for Chalk Finish Paint, you can turn any latex paint into your own chalk paint. It’s all natural and non-toxic as well. To take it one DIY-step further, you can in fact also make chalk paint out of any latex paint by mixing Plaster of Paris (Available at Amazon.com in a 8 lb. tub) in a 1:3 ratio. Pro Tip: With both Dover’s Mix and Plaster of Paris, be sure to mix a small quantity of paint with the powder and blend until all the lumps are smoothed out before adding the rest. Otherwise, you will end up with an inevitably lumpy mess. You want your kitchen cabinets to look fantastic. It’s not the time to simply slop paint on and hope that it turns out well. Not to worry! Chalk paint is a wonderful, and wonderfully easy, way to go and we can walk you through the whole process. 1. Clean all surfaces very thoroughly with degreaser to enable the paint to bond to the cabinet itself, rather than any surface dirt or grease. Pro tip: Krud Kutter works great for this! You can find Krud Kutter degreaser on Amazon for a reasonable price. 2. Remove cabinet doors. Be careful to keep and organize all hardware to make it easy to reinstall at the end of the process. 3. Mix your chalk paint if necessary. 4. With a paint brush, apply an even coat of paint to all surfaces. Pro Tip: When working with chalk paint, rather than making short back and forth strokes like you do with latex, use long strokes. Also, since chalk paint goes further than latex paint, start with just a little on the brush until you get a feel for how much you need. If you prefer to have invisible brush strokes, paint in a cross hatch pattern initially, which gives subsequent coats of paint something to settle into. 5. Allow 15 minutes to an hour for the first coat to dry, depending on the environment you are working in. Apply your second coat while being mindful to not work the paint too much, as it can tend to activate the first coat. Pro tip: Make sure to have soft towels or t-shirts to lay the cabinet doors on after painting to protect the chalk paint. It will be very soft and easily scratched until it is finished and waxed. The other option is to do all coats of paint and wax on one side before proceeding to the other side. 6. For the third coat, let the paint dry, and apply as needed, especially to any thin areas. Be aware you may need to let it dry once more and apply a fourth coat. 7. Let the paint thoroughly dry after the final coat. Depending on the humidity, this can again take up to an hour. Pro tip: It’s up to you to decide when to reassemble your cabinetry. The first opportunity is after the painting is done but before any distressing. This lets you see how it all comes together before distressing and waxing. Alternately, you can finish everything then put the cabinets back together and simply touch up any details. 8. LIGHTLY sand with 200 grit sand paper as desired for a distressed look. Chalk paint distresses very easily; if you end up causing more “damage” than you wanted, simply touch up with more paint, let it dry, and start again. Pro tip: If you prefer a smooth look rather than distressed, very lightly sand with 400 grit sandpaper to eliminate brush strokes rather than using 200 grit to “rough up” the surface. 9. Dust thoroughly, then wax. Since these are kitchen cabinets and will be exclusively used indoors, all you will need is wax – chalk paint used outdoors requires polyurethane or polycrylic. Pro tip: Minwax Paste Finishing Wax works well, as does the Wooster wax brush (called a stencil brush. 10. Buff to remove excess wax, and make sure first coat is dry. 11. After waxing and buffing, wax a SECOND TIME. This is highly recommended for a high traffic area like a kitchen. 12. Buff again. Buff lightly for a more matte finish; buff thoroughly for shine. Wiping: Chalk paint holds up very well to basic wiping. Food: Most food is very easy to wipe off with the exception of dark colored food like tomato sauces, which tend to leave a slight orange stain. Gentle use of a Magic Eraser helps, but use can lead to stripping of the wax coating. Expect within a couple of years to re-apply a coat of wax. Washable Markers: Much like food, these CAN be removed with a Magic Eraser, but these take the wax coating off as well. Same as above: expect within a couple of years to re-apply a coat of wax. Touch Ups: Good news, touch ups are easy! Just paint over the spot with a small brush or even a cotton swab. Use 1-2 coats, allow to dry, then distress if needed and wax. We hope you feel inspired to try working with chalk paint for your next project, whether it’s refinishing your kitchen cabinets or something else entirely. It’s a terrific, flexible paint with a fabulous finish and very easy to work with. Let us know your adventures in do-it-yourself in the comments, and please share pictures. We love to see your successes!